After leading Dream Team VI to bronze medal in the football event of Rio 2016 Olympic Games, John Mikel Obi is back to his base in London. 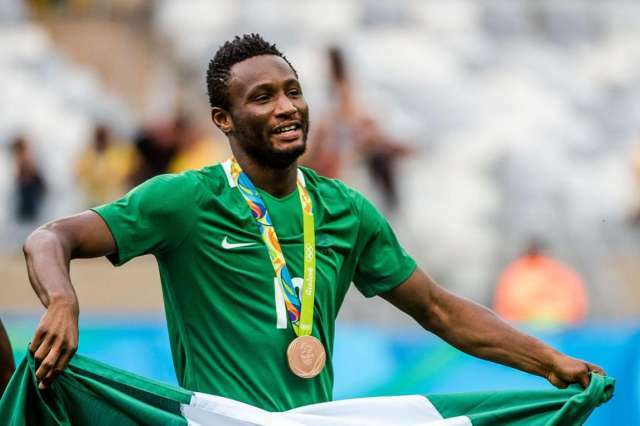 Mikel Obi captained Nigeria’s Dream Team VI that won the bronze – Nigeria’s only medal at Rio 2016- beating Honduras on Saturday, August 20 in the third place game » . Mikel Obi played in all the Dream Team VI’s games of Rio 2016 Olympic Games and scored one goal. “ Back in the UK. Now hard work with #C FC begins. Eleven seasons, Eleven trophies and I’m not done yet,” Mikel writes on his official Twitter handle. Mikel also thinks he will need a few days to rest and ruled himself out of Chelsea’s next Premier League game with Burnley . “ The plan is to have a little break, which is why the timing couldn’t be better as the season stops for two weeks for international fixtures after the Burnley game anyway. Former Chairman, House of Representatives Committee on Appropriation, Abdulmumin Jibrin, has insisted …..
Hey Buddy!, I found this information for you: "Mikel Returns to London After Rio 2016". Here is the website link: https://360kwado.com/mikel-returns-to-london-after-rio-2016/. Thank you.